This Halloween Printable is available to download for free, or you can download the entire collection for only $19.00. The free version is available in PDF format. It can be opened and printed with Adobe Acrobat Reader, or any other program that can display PDF files. 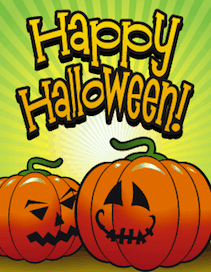 Halloween Greeting Cards are also available in Word DOC format for you to download, customize, and print.